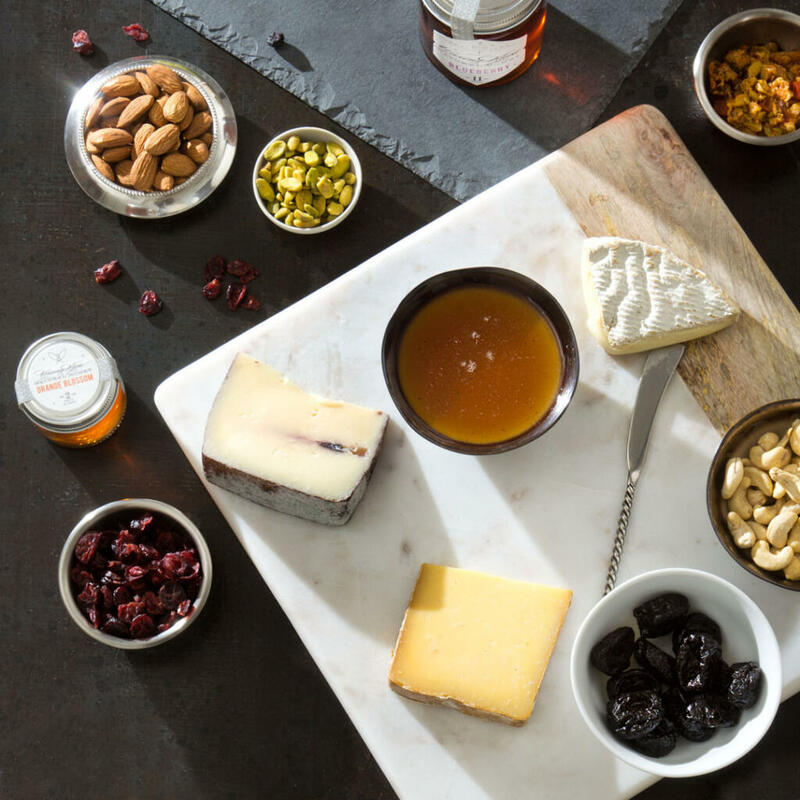 Try pairing honey with cheese next time you have a get-together. Be sure to taste each individually, then try them together to be sure that they complement one another. Good honey, like good wine, features intriguing layers of flavor and shifts in color, fragrance, thickness, and texture from varietal to varietal telling the story of the flowers that surround the hive and provide its nectar base. Research scientists have gone so far to prove that honey has its very own DNA, like ancestry.com or “23 and me”, that tells you exactly how many and what specific flowers made that particular honey. Honey color shifts with each harvest, it may be white, pale yellow, golden orange, light and dark amber or brown. 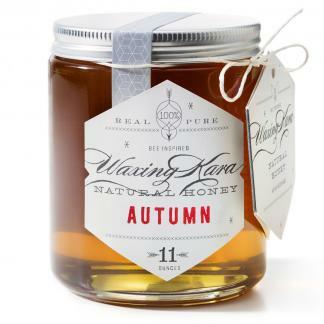 Lighter color honeys have a milder flavor and darker shades of honey offer more distinctive aroma and taste. Have fun with tasting honey. Observe the color, aroma and flavor of each varietal and artisanal batch. 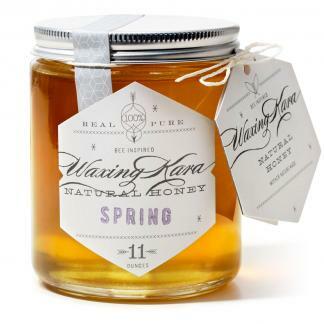 Our favorite varietal honey includes Spring, Blackberry and Orange Blossom. 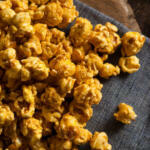 These have sweet, floral notes that pair well with strong, mild or soft cheeses. Clover Honey is almost a standard that everything else is compared to. It is light yellow-amber color and earthy floral scent finishes with a sweet and woody taste. 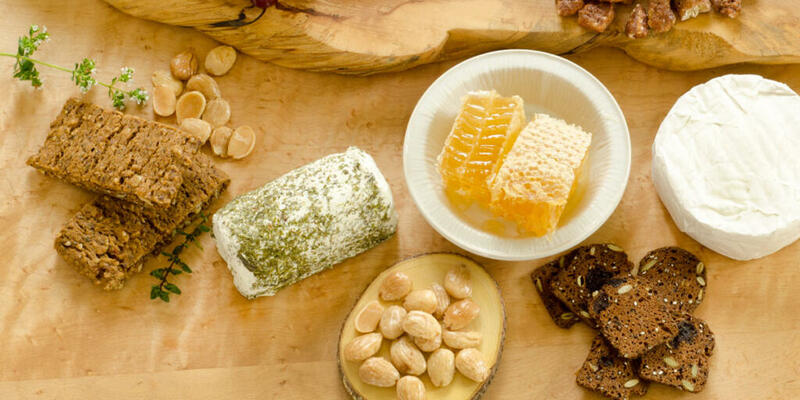 It is great honey to pair with all varieties of cheese. 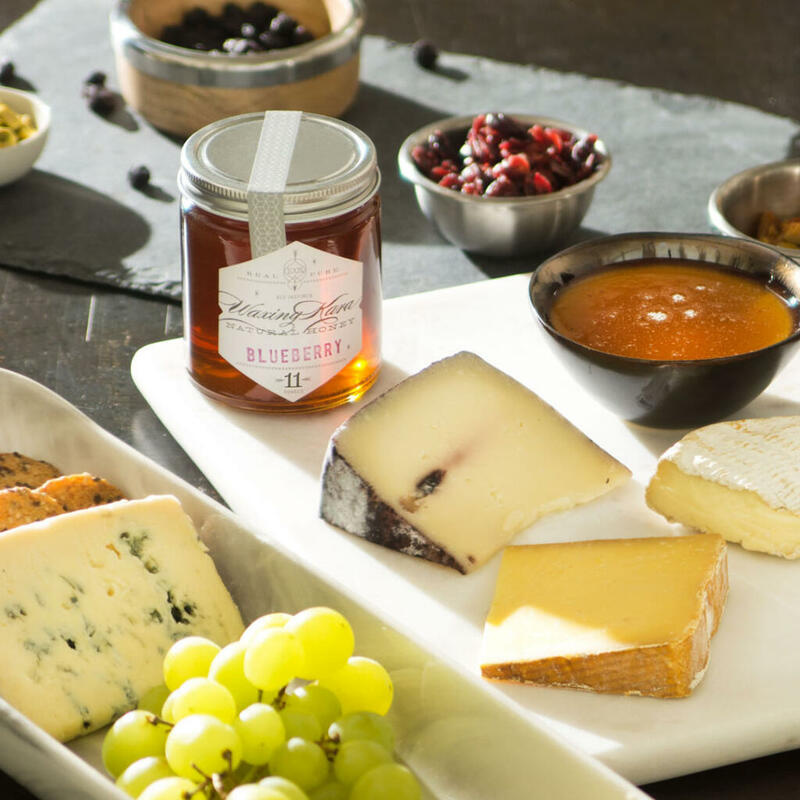 Sampling and Pairing Honey with Cheese is a feast for all of the senses. It’s amazing how you can pour sweet nectar on the “stinkiest” cheese and follow with a nice crisp glass of wine and experience an incredible sort of harmony in your mouth. 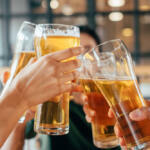 It’s a great way to enjoy happy hour! It is not difficult to create real beauty when designing a honey and cheese platter. Pick beautiful live-edge wooden boards or have one custom made with your family name. Choose the most beautiful organic produce and artisan roasted or raw nuts. Find the perfect pinch pots to hold nuts, honey, olives or fruit. You can layer and build your presentation with ease. Blue cheese pairs perfectly with honey. The sweeter the honey the better for all stinky strong cheese. You will notice that the honey mellows out the strong flavor. 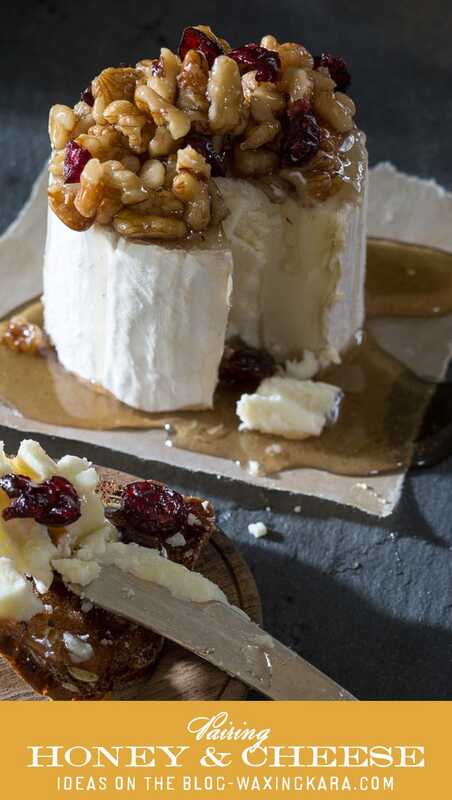 Brie is lovely when drizzled with dark bamboo or buckwheat honey. Bake a wheel of brie with honey to caramelize the top and offer a gooey delight for your guests. Goat cheese and other tangy cheeses like feta benefit from a drizzle of honey. Try different varietals and see what varietals you like the best. Ricotta is light enough to be used for breakfast with a poached egg drizzled with a dash of spicy honey or served as dessert when paired with dried fruit or fresh berries and a sprinkle of cinnamon. On the savory side, try sliced gently grilled zucchini painted with ricotta and sprinkled with chopped sun-dried tomato, roll and drizzle with honey before serving. Hard cheeses like Pecorino Romano or Parmigiano and other aged hard cheeses, such as sharp cheddar, are delicious with a drizzle of honey. In this instance, cutting these cheeses into wedges and encouraging guests to dip into honey may work better. Serve sliced toasted baguette or artisan crackers alongside your cheese platter, this will make it a little easier for your guests to eat. Drizzle honey over cheese prior to serving. Or simply serve a jar of honey on the side to encourage guests to do their own drizzling. Don’t forget to serve with cashews or spiced Marcona almonds and raw cashews to further enhance the pairing experience. The right wine for each of these suggested pairings can make this party complete. From sparkling rose champagne or prosecco to sophisticated pinot noir and everything in between. Have fun with it. At our Honey House, we sell honeycomb specifically for our customers who are looking for interesting ways to incorporate honey into their diet. 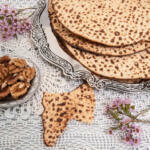 Leaving the honeycomb whole is a great way to entertain guests. The comb is edible, guests simply cut off a slice of honeycomb and top the cheese and cracker. Next post: What does honey do for skin?